WASHINGTON ? U.S. President Barack Obama?s plan to scrapNASA?s Moon-bound Constellation program and turn to private companies forlaunching astronauts into space provoked a strong bipartisan rebuke from theAlabama, Florida and Texas congressional delegations several days before thepresident was slated to deliver his annual budget request to Congress. House and Senate lawmakers fromthe three states home to NASA?s lead human spaceflight centers unleashed a barrageof criticism in advance of the Feb. 1 release of Obama?s2011 budget request, which an administration official said would increase NASAspending by $6 billion over the next five years, keep the International SpaceStation in service through at least 2020, cancel the agency?s 5-year-old Constellationprogram to build new rockets and spacecraft optimized for the moon and funda $6 billion effort to foster development of commercial systems for ferryingastronauts to the International Space Station. Sen. Bill Nelson (D-Fla.),chairman of the Senate Commerce Committee panel that oversees NASA,said in a Jan. 29 statement that if reports of the White House plan areaccurate, ?then the president?s green-eyeshade-wearing advisors are deadwrong.? Nelson, whose state is home toKennedy Space Center, said he would ?fight for NASA, and for the thousands ofpeople who stand to lose their jobs.? Rep. Bill Posey (R-Fla.) called Obama?s plan ?a giant leap backwards? and Rep. SuzanneKosmas (D-Fla.) said it was ?simply unacceptable? and vowed to ?fight back? topreserve Kennedy contractor jobs that stand to be lost when shuttle flightsend. Texas lawmakers were similarlydisgruntled about the plan and what it might mean for NASA?s Johnson SpaceCenter, which has been in charge of the Constellation program since its 2005inception. Republican Reps. Ralph Hall, Pete Olson, and Michael McCaul and Democratic Rep. Sheila Jackson Lee all issuedtesty press releases in the wake of media reports about the president?s NASAplans. Sen. Mary Landrieu (D-La.) saidshe would try to shield work at NASA?s MichoudAssembly Facility in New Orleans from any job losses associated with the Constellationprogram?s cancellation. Michoud workers have beencounting on Ares and Orion to make up for the loss of the space shuttleexternal tank work done there. Sen. Richard Shelby (Ala.), theranking Republican on the Senate Appropriations commerce, justice, sciencesubcommittee, said canceling Constellation and turning over crew transportationto the private sector threatens to make the astronauts launched on NASA?s finalshuttle mission in September the last Americans sent into space from U.S. soiluntil well after 2020. ?China, India, and Russia will beputting humans in space while we wait on commercial hobbyists to actually backup their grand promises,? Shelby said in a Jan. 29 statement to Space News,referring to companies banking on NASA to guarantee a market for the spacetransportation systems they seek to develop. Shelby, whose state is home toNASA?s Marshall Space Flight Center in Huntsville, where the Constellationprogram?s Ares I and Ares V rockets are currently in development, dismissed theproposed $6 billion commercial crew initiative as ?a welfare program foramateur rocket companies with little or nothing to show for the taxpayerdollars they have already squandered.? Brett Alexander, president of theCommercial Spaceflight Federation here, said Obama?sproposed $6 billion investment would not only get astronauts back to launchingon U.S. vehicles faster than Constellation, but would also ?create more jobsper dollar? by leveraging private investment. 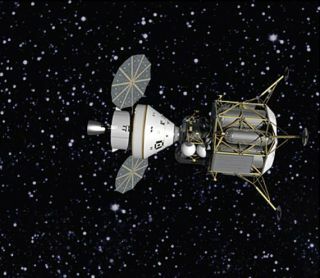 Alexander said Constellation hasfailed to live up to the Vision for Space Exploration he helped craft as aWhite House policy analyst under former President George W. Bush. ?I was a primary author of theVision for Space Exploration, and I really wanted it to succeed. I am not happythat five years later it has to be retooled completely,? Alexandersaid. ?But they chose the most expensive architecture and they had cost andtechnical issues with it. The cost overruns are astonishing.? A White House panel appointedlast year to review NASA?s humanspaceflight plans said Constellation was well-managed and technicallyfeasible but likely to cost more than the nation would be willing to spend. Thepanel suggested the White House consider canceling Ares I and fosterdevelopment of commercial crew systems instead. John Logsdon, a space policyexpert here familiar with Obama?s plan, said theemphasis on commercial crew does not mean that NASA will neglect development ofthe type of heavy-lift rocket it will need to conduct manned missions beyondlow Earth orbit by the early 2020s. In the near term, he expects to see NASAinvest in heavy-lift technology and do more to engage its internationalpartners. ?It?s a fairly sophisticatedstrategy, in saying let?s spend technology money for the next few years, let?ssee what our partners might be willing to contribute, and then, let?s choose adesign for the heavy-lift vehicle,? he said.